Our highly skilled and qualified tyre technicians go through certified internal training regularly to maintain a high standard of workmanship. Our tyre fitters are certified to handle many different tyre services and products. Maintaining the tyre balance on your vehicle is critical to receiving satisfactory service from your tyre investment. In addition to providing a smooth ride, balancing is a key component in tyre wear. 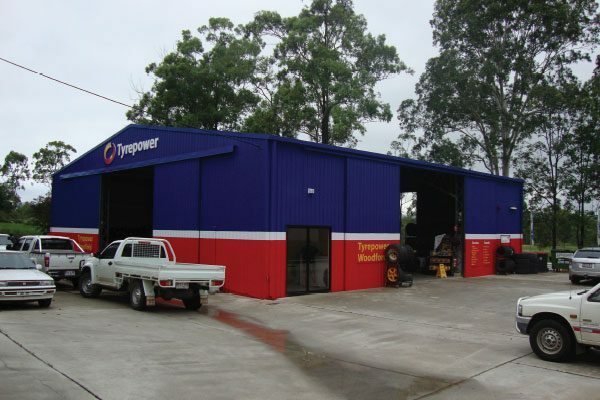 Tyrepower Woodford can provide customers with advanced diagnostics in vibration and tyre pull. Our balancing machine can provide your passenger/sports car, race car, SUV, 4×4 or Light Truck with Road Force & Straight Track Balancing. For your peace of mind you will be glad to know that all wheel aligning technicians at Tyrepower Woodford must undergo vigorous internal training and pass a Certificate of Suspension/Steering and Alignment course to become a Wheel Aligner at Tyrepower Woodford. General safety inspection, undercarriage safety inspection or major safety inspection, all customers are provided with a report of any items requiring attention. This is standard with all vehicle health checks provided by Tyrepower Woodford. Logbook, Minor & Major servicing along with Mechanical Repairs comes naturally to our mechanics and sales team as they have extensive knowledge and the right tools to provide you exceptional service and advice whether your vehicle is old or new. Our trusted mechanics can handle any suspension repairs and other related issues. We have a wide range of premiere suspension replacement parts and our mechanics will focus on your queries and completely inspect inconsistencies of your suspension systems. Our trusted mechanics can handle any steering repairs and other related issues. We have a wide range of premiere steering replacement parts and our mechanics will focus on your queries and completely inspect inconsistencies of your steering systems. We recommend and primarily use premium brake parts and components providing customers with fast and reliable braking for their personal, family or work cars. Our brake specialists and mechanics will certify that your braking systems are always in good working condition. Our friendly Tyrepower Pro’s will be happy to check your vehicles tyre condition, tread depth, pressure and answer any questions you may have. We will even throw in a complimentary battery health check and provide you with a printed report! No appointment necessary for this friendly and quick safety check.